MWC 2018 is almost upon us and so are the next generation of smartphones. Some of them will be quite drool-worthy, but many will probably be beyond reach, both in time and in budget. 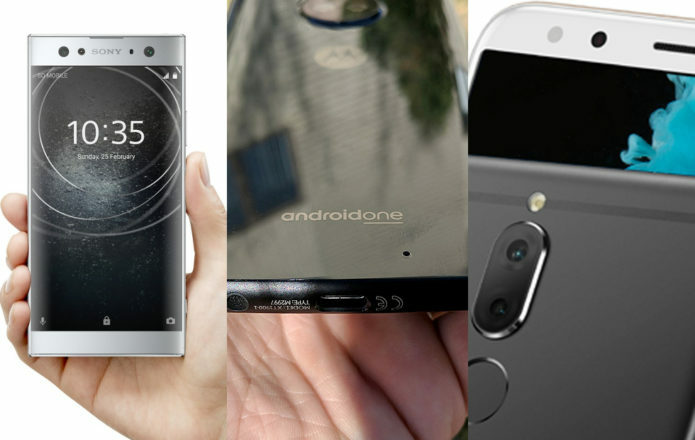 If you’re in need of a new mobile partner soon and your resources are a bit stretched thin, there are still some Android phones for you. And you won’t even have to compromise that much. Here are some of the best mid-range, wallet-friendly phones that you can actually buy now instead of waiting for a few months. In a similar vein, the Huawe Mate 10 Lite takes a few pages from the Mate 10 and Mate 10 Pro’s book, particularly its 18:9 screen. Dual cameras front and back, this is a budget-conscious smartphone photographer’s dream. A bit of an unreachable dream at that. Nokia’s latest offering, the Nokia 7 is unassuming in its design. The single camera on its back belies its capabilities but Nokia’s “bofie” gimmick also mars its seriousness. Unyielding to trends and hype, the Xperia XA2 is as traditional as you can get in terms of design and specs. This time, though, it seems Sony has finally gotten the price right on the first try. While all of these five are pretty competitive, in the end, there can only be one. And for our recommendation, we give the award to the Motorola Moto X4. Though on the more expensive side compared to the others, the Moto X4 hits the sweet spot in terms of hardware features, software, and accessibility. Available in near-vanilla Android with Amazon Alexa or as an Android One phone on Project Fi, the Moto X4 is a no-nonsense mid-range handset that won’t let you down for its price. We would have given the crown to the Huawei Mate 10 Lite, with better specs and an 18:9 screen for a lower price tag. Unfortunately, the phone isn’t directly available in the US yet, even via Amazon or Best Buy. And given how things are going for Huawei, it’s probably not going to happen anytime soon.